We had three weeks, the entire Nissan line to showcase, and a previously-unknown electric car – the Nissan LEAF – to tease. And with this work, we quadrupled the number of LEAF handraisers in three days…and got to see our work airing throughout the Olympics! 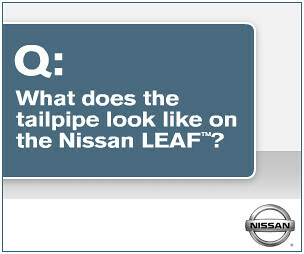 Launching a 100% electric, 0 gas, 0 tailpipe car gets lots of people talking. 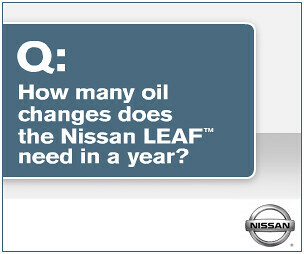 These banners searched the web for tweets about the new Nissan LEAF, and encouraged others to join the conversation. 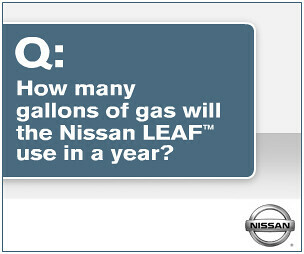 Not very many people had heard about Nissan’s upcoming electric car when we were tasked to start getting the word out. What struck us is how totally and completely revolutionary this car was going to be.